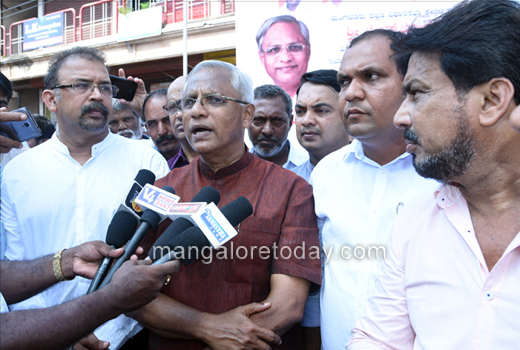 Mangaluru, Oct 19, 2017: MLA of Mangaluru South J R Lobo has informed that he has succeeded in getting sanctioned a sum of Rs one crore for the concretisation of the road from Hamilton Circle towards the road leading to the old Port with the objective of the development of the Old Mangaluru Port. 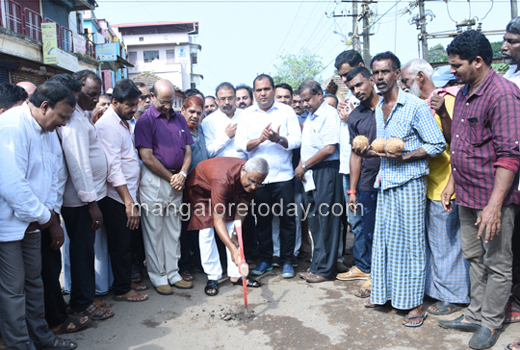 The MLA was speaking after laying the foundation for the concretisation project of the road on October 19, Thursday. He said the amount has been sanctioned as a special grant after holding consultations with the Chief Minister as well as the Public Works Minister. 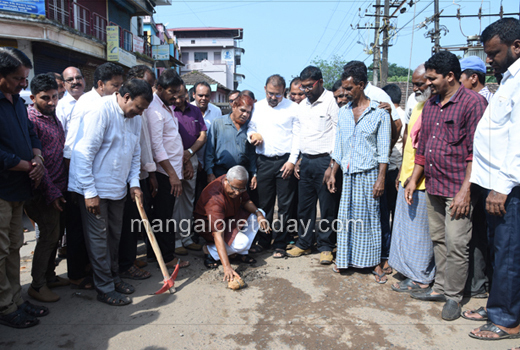 Badria College Principal Dr Ismail, Corporator Abdul Latif and others were present.